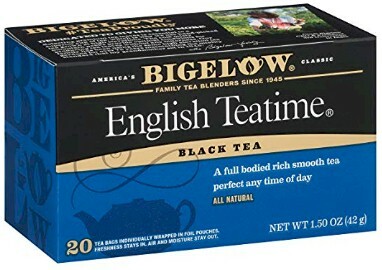 Forget about the traditional Wissotszky Passover tea (or other heimishe brands) that costs upwards of $4.00 per box! 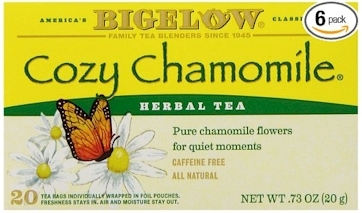 If you've been reading Daily Cheapskate for a while, you might remember that Bigelow makes quite a few varieties of KLP (Kosher La'Pesach or Kosher for Passover) teas, under the Kof-K-P hechsher. 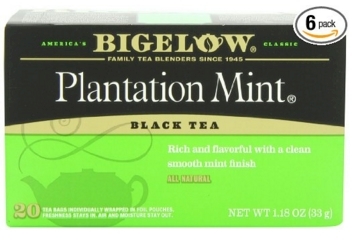 There are tons of interesting varieties available and these teas are delicious; I drink their Plantation Mint and Constant Comment flavors year round. 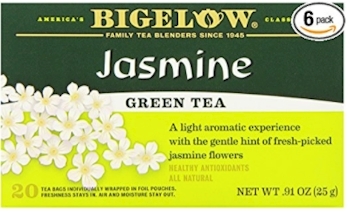 But you don't want to order them from the Bigelow site as they are quite a bit more expensive there. 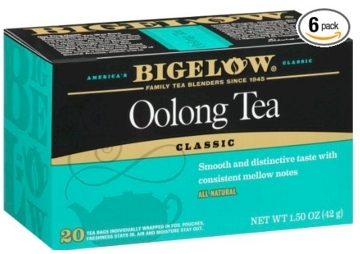 However, Amazon has got over a dozen flavors of KFP (kosher for Passover) Bigelow tea in packages of six that are extremely well-priced. 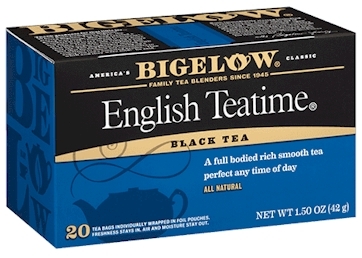 All the Bigelow teas listed here are less than $3 per box and there is even one flavor that is less than $2 per box. 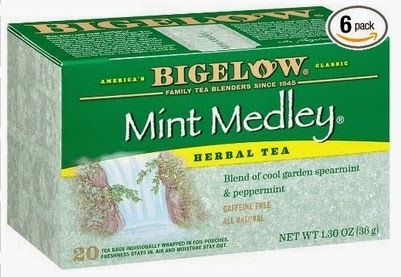 That's even less expensive than many brand name herbal teas are during the year! Lock these in and buy now, as the price often shoots up before Passover. 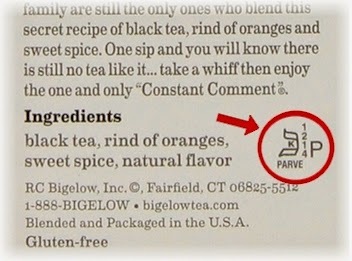 Make sure you doublecheck for the Kof-K-P on the box itself when the tea arrives, which ensures that it is KFP (kosher for Passover). 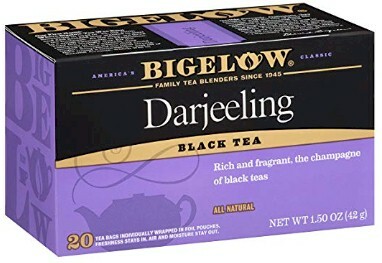 If you are ordering this tea for Passover via Subscribe & Save, make sure you adjust the date on Amazon so that it arrives on or before 4/29/19. Since these come in packs of 6, you can order a few of these with a friend and split them up, so that you each have a flavor variety (or just keep them from year to year or package them up and use them as hostess gifts). 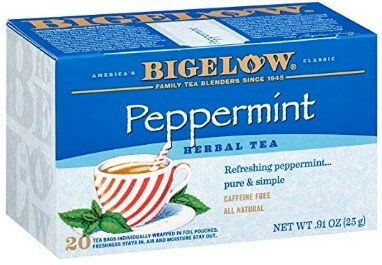 $13.67 or $2.28 per box of 20 with the Subscribe & Save 15% discount (if you can take delivery of 5 or more active subscriptions in one month) . 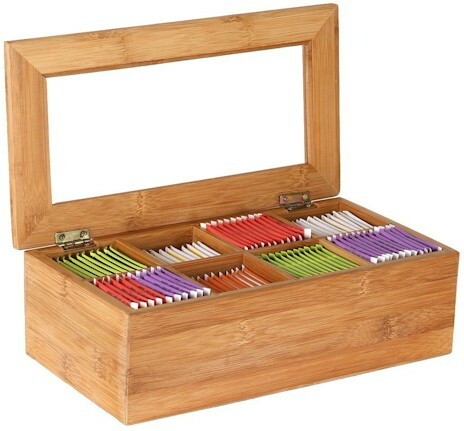 $15.28 or $2.55 per box of 20 with the standard Subscribe & Save 5% discount. $13.21 or $2.20 per box of 20 with the Subscribe & Save 15% discount (if you can take delivery of 5 or more active subscriptions in one month) . $14.76 or $2.46 per box of 20 with the standard Subscribe & Save 5% discount. $14.37 or $2.40 per box of 20 with the Subscribe & Save 15% discount (if you can take delivery of 5 or more active subscriptions in one month) . 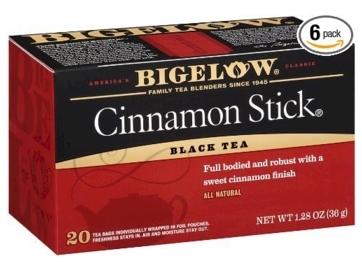 $16.06 or $2.68 per box of 20 with the standard Subscribe & Save 5% discount. $14.44 or $2.41 per box of 20 with the Subscribe & Save 15% discount (if you can take delivery of 5 or more active subscriptions in one month) . $16.14 or $2.69 per box of 20 with the standard Subscribe & Save 5% discount. 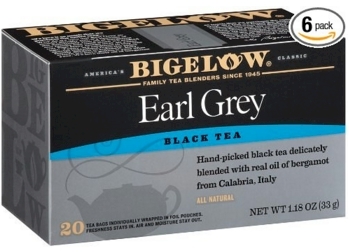 Bigelow Earl Grey Black Tea, 20-count boxes, pack of 6, $14.88 with free Prime shipping ($2.48 per box of 20). $11.63 or $1.94 per box of 20 with the Subscribe & Save 15% discount (if you can take delivery of 5 or more active subscriptions in one month) . 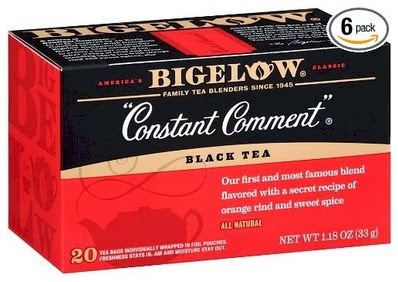 $13.00 or $2.17 per box of 20 with the standard Subscribe & Save 5% discount. $12.65 or $2.11 per box of 20 with the Subscribe & Save 15% discount (if you can take delivery of 5 or more active subscriptions in one month) . $14.14 or $2.36 per box of 20 with the standard Subscribe & Save 5% discount. $15.29 or $2.55 per box of 20 with the Subscribe & Save 15% discount (if you can take delivery of 5 or more active subscriptions in one month) . $17.09 or $2.85 per box of 20 with the standard Subscribe & Save 5% discount. 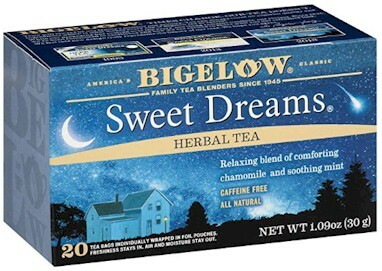 Remember, if you are buying this tea Passover, don't forget to adjust the Subscribe & Save delivery date so that it arrives before April 19th.